Among cataclysmic events that have shaped India�s post independence history, none compare with the conflict �in� and �over� the erstwhile princely state of Jammu and Kashmir. Kashmir is truly unique as not only is it the nub of the Indo-Pak feud, but also with her other adversary � China. Historically speaking, Kashmir has remained a frontline ever since the Great Game. In view of China�s growing outreach and the fact that Kashmir�s occupied territory link both India�s adversaries, it portends volatility in the India-Pakistan-China triangular relationship. Brig Amar Cheema�s well�researched endeavour recounts the Kashmir imbroglio beyond episodic accounts but in continuum; in so doing, provides a broader perspective. The Crimson Chinar delivers a blow-by-blow account of the many �wars,� and continues the narrative through the phases of �No War-No Peace,� �insurgency� and �limited war� that have progressively ravaged the state. The context and geo-strategic environment has been re-created based on in-depth research and captured the rationale of the times. 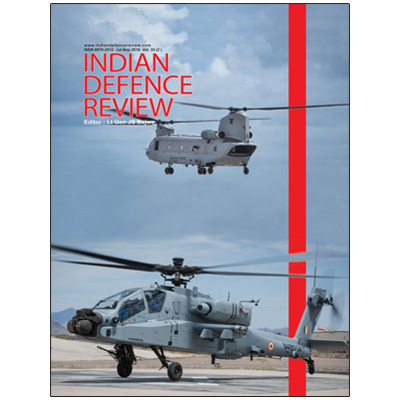 The important take away being; �wherever� and �whenever� India has responded �pro-actively� and with determination, results have been significantly different; 1965, 1971 and Siachen being prime examples. With myriad external and internal dimensions, Kashmir continues to cast shadows on the progression of the sub-continent. Peace remains as elusive as it was in the forties; if anything, the adversaries � both known and unknown, have grown stronger. While the reasons for the conflict may have changed with the times, the underlying causes remain as profound as they were decades ago.